Below is a list of musicians that have worked at The Goat with us as songwriters, musicians, producers, and live performers on various projects. All of these musicians are professionals and can be hired to help you with your projects! Aaron Oberg operates out of Roanoke, Va, and travels the region with his band FIVE DOLLAR SHAKE. He covers a very broad range of styles, just about anything from the 50's to todays hits. He writes greats songs that build on riffs and melodies with all types of instruments, and ties them together with really catchy lyrics and a unique voice. Aaron helps people finish and record their songs here with us at the goat. 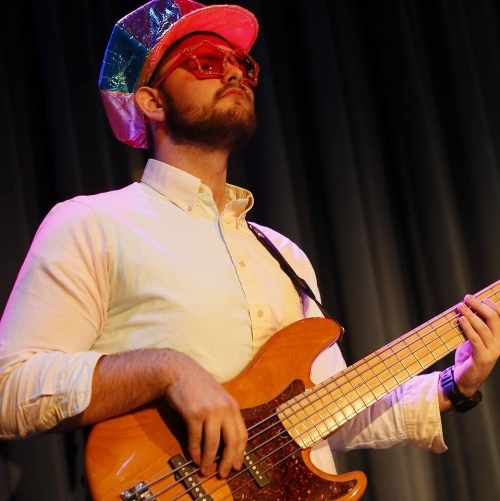 From Roanoke, Va, Alex is known throughout the area for his exceptional bass technique. Alex draws influence from just about anywhere, Funk, Soul, R&B, Rock, Jazz and many more. He is experienced in the studio environment as well, with many sessions under his belt, he can help you nail that bass line anyway you want it! Alex is currently on tour with the FUNK ALL STARS which is a large P-funk tribute show. The Bergerons are a young alternative rock band based out of Lynchburg Va. Josh Sosin is the vocalist/keyboardist/rhytum guitarist, Riley Yeatts is the lead guitarist, Tim Sosin is the rhythm guitarist Parker Sherman is the bassist, and Alex Roberts is the drummer. The dynamic characteristics of the songs paired with Joshes impactful lyrics, The Bergerons have created a unique sound that they can call their own. Brad is very tall and also one of the nicest people ever. He is based out of Roanoke, Va, and can be found playing in various projects around the region, but is most known with Hoppie Vaughan and the Ministers of Soul, and the Ben Trout Band. His styles range from Funk to Soul, R&B to Rock. In the studio Brad is a dedicated worker that takes the time to make sure things are right before moving on, and has excellent feel! 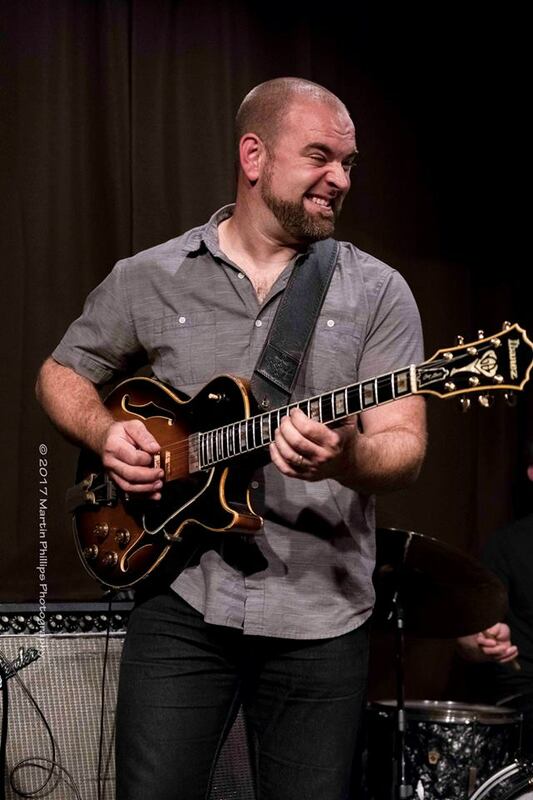 Brian Mesko is currently based out of Roanoke Va, while completing a bachelor’s degree in Recording Industry at Middle TN State, Mesko lived in the Nashville area from 1997 – 2005 and played with such international jazz greats as Les McCann, Tony Monaco, Dr. Lonnie Smith, John Jorgensen and Jeff Coffin. Brian is one our most requested studio musicians, he can play almost every instrument professionally, and is ready to help you with your project! Caroline is a young songwriter and performer, that specializes in Pop, ballads, and solo performances. Based out of Lynchburg, Va. Caroline has had extensive vocal and piano training, and can also play the guitar. Go to her Facebook page to find out where you can she her shows! Catherine is a singer/songwriter that currently lives in Bedford VA. Her styles range from Bluegrass, Country, and Folk. Catherine plays guitar and trumpet, and is known to switch back and forth during her live solo performances. It is her powerful lyrics and unique style that separates her from the rest, she recently won the Chris Austin Songwriting Competition at Merlefest 2017 in her category with her song "Tomatoes" which was recorded right here at The Goat! 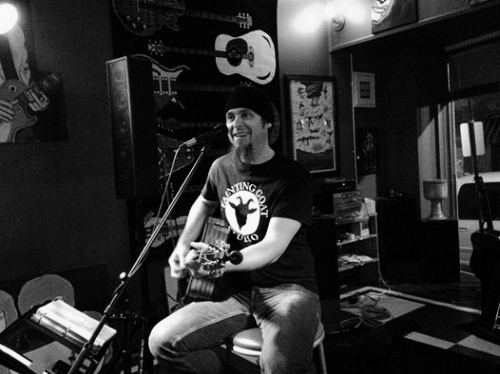 Based in Amherst VA, Gene is a Blues, Rockabilly, and Country songwriter/musician with an edgy Punk Rock background. In addition to guitar, Gene can play just about anything with strings on it, including pedal steel. Gene is an excellent lead guitar player and singer, and can be seen performing with many of the areas local acts! Operating out of Roanoke, Va, Jamiel has many talents. He can sing, play keyboards, organs, guitar, and many more. His styles range from Soul, Rock, Hip Hop, R&B, and countless others. 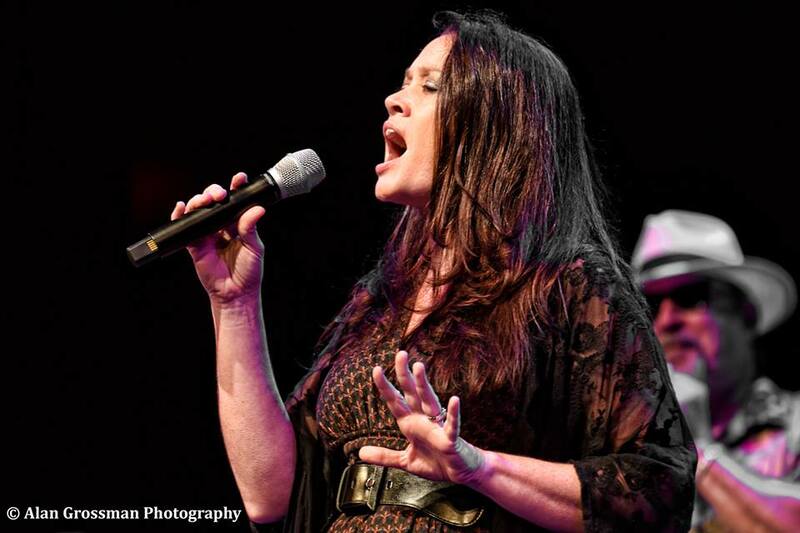 Jamiel currently plays with Hoppie Vaughan and the Ministers of Soul and can be found playing just about anywhere in the region. In the studio, Jamiel is very effiecent, he adapts easily and puts his own sound on the recordings. Based out of Roanoke, Va, Jonathan is a talented keyboardist and singer, that plays in various projects. He is currently with a band call THE OTHER WHITE MEAT that plays the Southwest VA area. In addition to his talent, he also ha a great sense of humor and is a very nice person. In the studio, he seems to always know how to perfectly fit into whatever project he is working on. He can play anything from Rock n' Roll to Jazz! With Marc's unique and varied music styles, he has become a favorite entertainer for many venues across SW Virginia, Tennessee and West Virginia. Marc and his friends have performed at locations such as the Greenbrier Resort in White Sulphur Springs, WV, Pipestem State Park Amphitheater, Chitagua Festival, Lincoln Theater, Street Fairs, Car Shows, Covered Bridge Festival in Elizabethton, TN, Virginia Beach, Clinch River Festival as well as regular shows at popular restaurants and clubs in the area. Melissa Mesko plays with numerous regional acts, including Melissa and the Growlers, Green Earrings, Downtown Conspiracy, and several acoustic groups. While living in Mississippi, Melissa was a founding member of an Oxford favorite, The Sweetbush Revival, honored in 2004 to win the Smith Vinson Songwriters Award, and to have an original song featured on the Beanland: Rising from the Riverbed DVD, which documents the rise of Beanland (the band that spawned Widespread Panic). RagTop is the Roanoke, Virginia based signature cover acoustic duo of Jim and Renee Oliphant. RagTop performs Folk Rock, Classic Rock, New Country, Blues and R&B and classic American Standards with earthy, acoustic styling focusing on the signature riffs and melodies that make your favorite songs memorable while keeping the arrangements organic, smooth and richly expressive! ROO is curently based out of Tampa, FL. In addition to being the front man for the hard rock band, Jack Mantra, he is also an author, and a very talented songwriter. ROO is known for his collaborations, since he typically writes songs and rallies different musicians to play on them to make sure each song is the best it can be. Roo is also a producer with us at The Goat, and helps other people make their songs the best they can be. Tony Camm operates out of Lynchburg, Va. He has a knack for promotion and marketing, but is also a very creative writer and performer! his styles range from Funk to R&B to Rap and even Rock! Known by many as the master collaborator, he has a unique talent for bringing musicians together to make great music of all kinds. He also manages bands and books events. Mix all those skills together and you get a powerful frontman with high energy, and the brains to get it out there. Tony is currently on tour with the FUNK ALL STARS, a large P-Funk tribute band. Will is currently based out of Roanoke, Va, with a style of classic 60's and 70s rock, mixed with blues. He is sure to entertain with his band The Willies, They play all over Southwest Va.. Will has a great sense of humor, it's just like hanging out with Mick Jagger. As far as his songwriting goes, he loves to use simple melodies, and mix them with lyrics that are usually influenced by real circumstances, and tell fantastic stories. his catch phrase is- "Well Alright!" NEW artists ARE ALWAYS BEING ADDED!